What are the changes from 16949: 2009 to 16949: 2016? 2. How can I become compliant to 16949: 2016? What are the benefits to becoming compliant to 16949: 2016? Adherence to this standard is mandatory for many OEM and suppliers to the automotive industry. Certification to this requirement is essential for automotive companies to continue to do business, deliver quality products and services, and drive improvement. When should I start moving towards compliance to 16949: 2016? 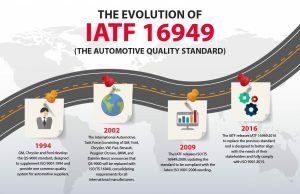 IATF 16949:2016 First Edition will replace the current standard, ISO/TS 16949 Fourth Edition. All organizations currently certified to ISO/TS 16949 Fourth Edition will need to transition to the new standard by September 14, 2018. After October 1, 2017 all audits are required to be conducted to IATF 16949:2016. 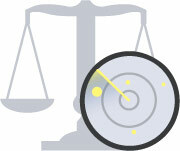 Nimonik works with automotive companies to simplify and centralize their compliance efforts. You can access our free checklists for 16949: 2016 and 9001: 2015 here. Contact Nimonik to discuss highly efficient Quality Auditing solutions for your operations and for suppliers at info@nimonik.com to discuss our solutions and streamline your compliance process.